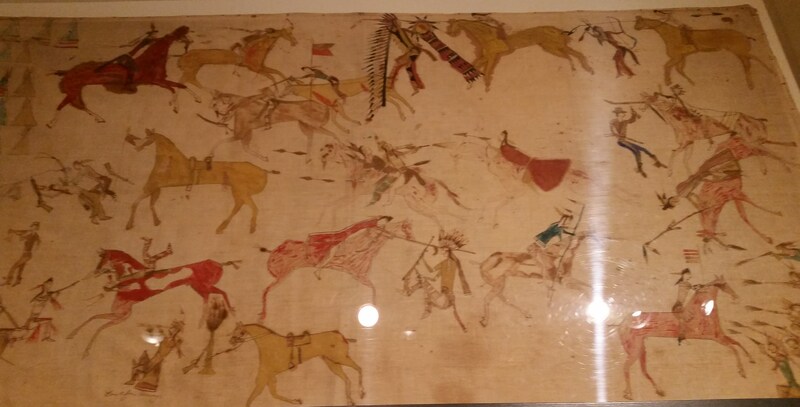 Our final excursion in Wyoming took us to the Buffalo Bill Museum. Also known as the Smithsonian of the West, we spent two days exploring it and could have taken longer. 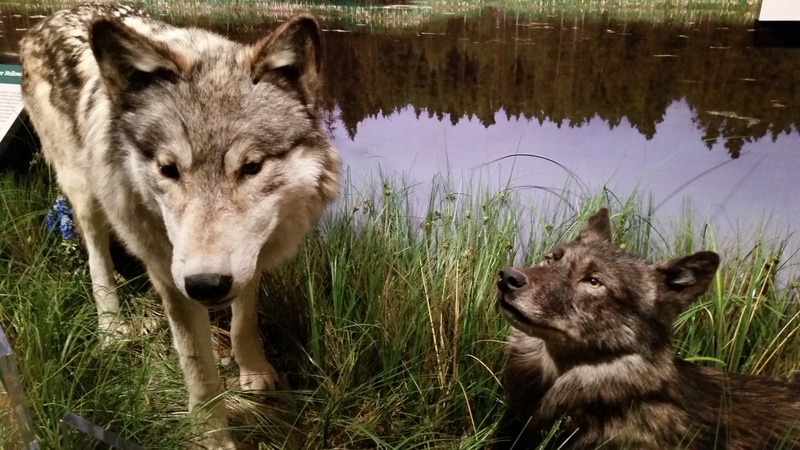 There is a natural history museum with many animal exhibits. The children really enjoyed this area. 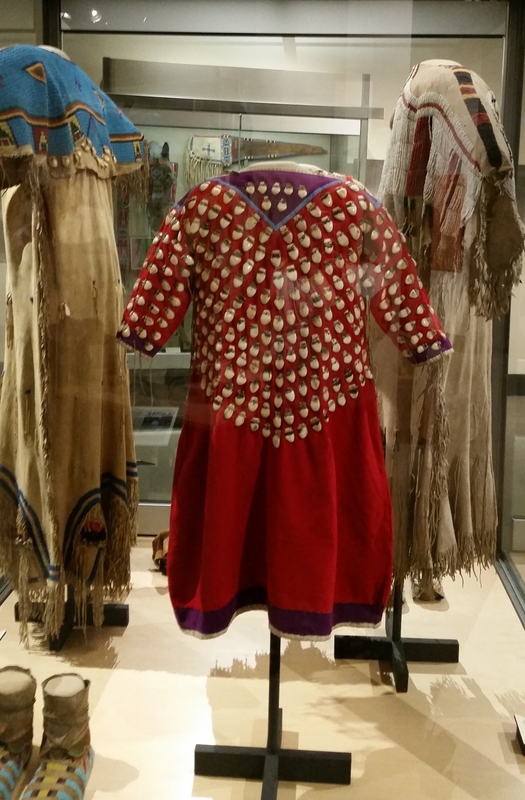 There were beautiful Native American costumes. 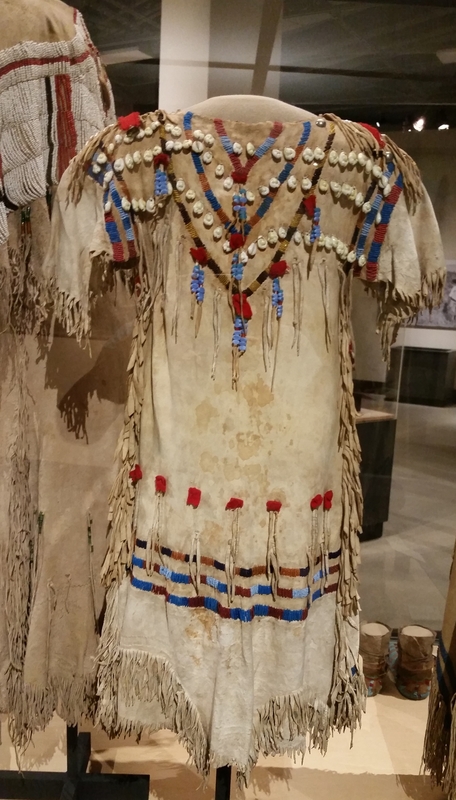 I asked an Indian lady what this dress is decorated with, she told me they are elk’s teeth. 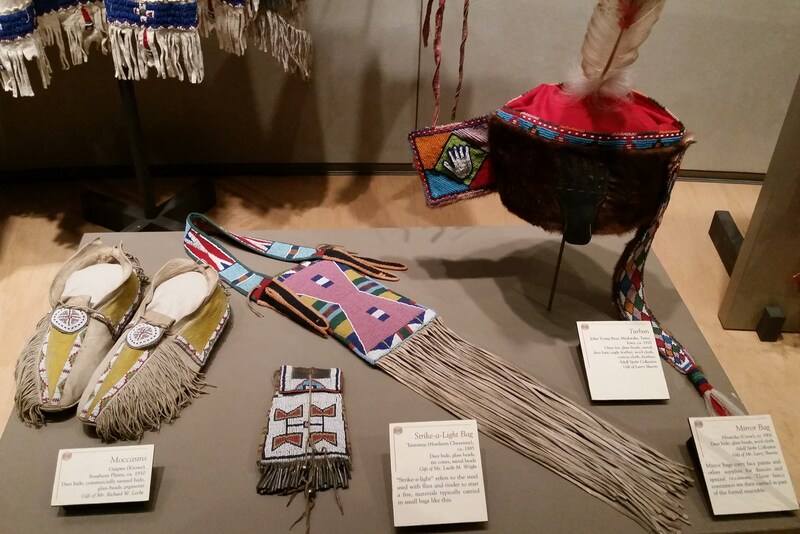 When I consider how difficult the life of an Indian woman would have been, I am amazed she would take time to create such beautiful bead work. 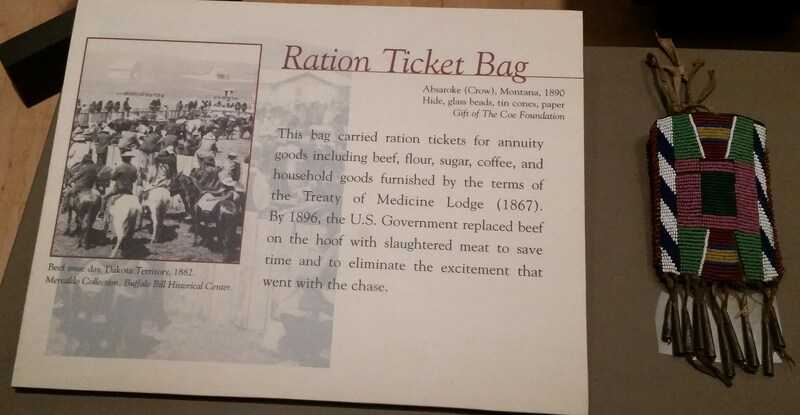 There was almost nothing as disturbing to me as this; the ration ticket. It was not enough that the Natives were driven onto reservations, but to take away there means to feed themselves and replace it with monthly rations of cheap food from the government was the last step to destroying their dignity as human beings. 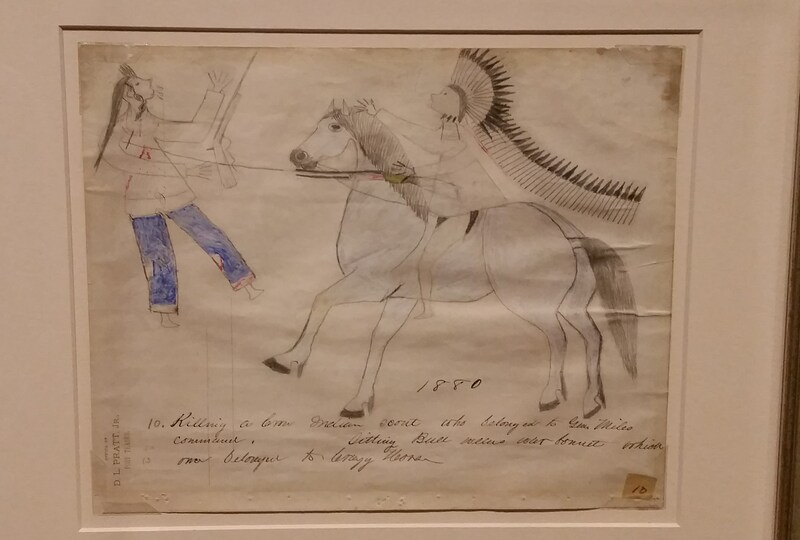 “The Killing of a Crow Scout” drawn by Sitting Bull. 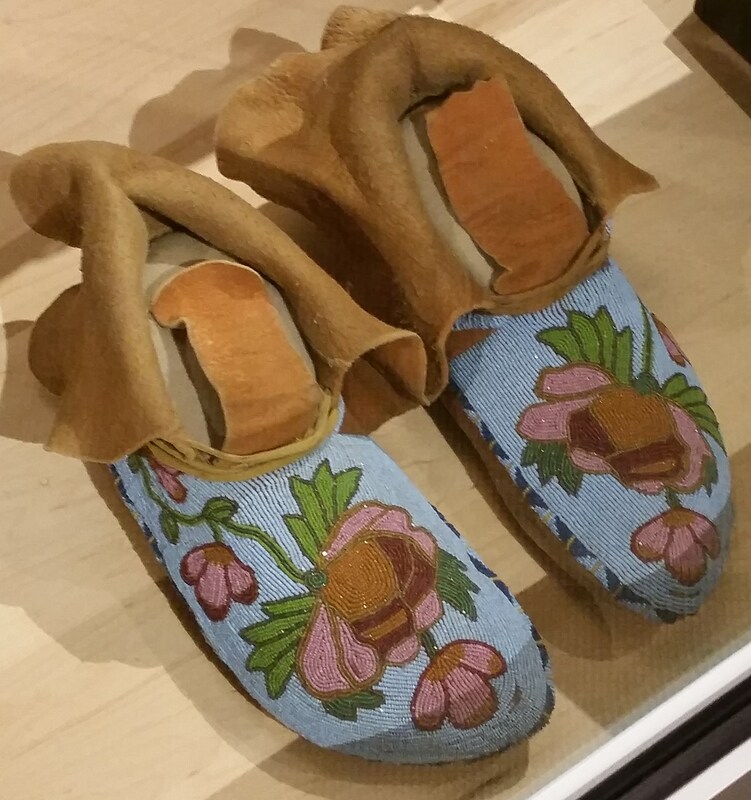 There was an art gallery, many items from Buffalo Bill’s Wild West Show (including one of Annie Oakley’s costumes and guns), a large collection of guns, and so much more. 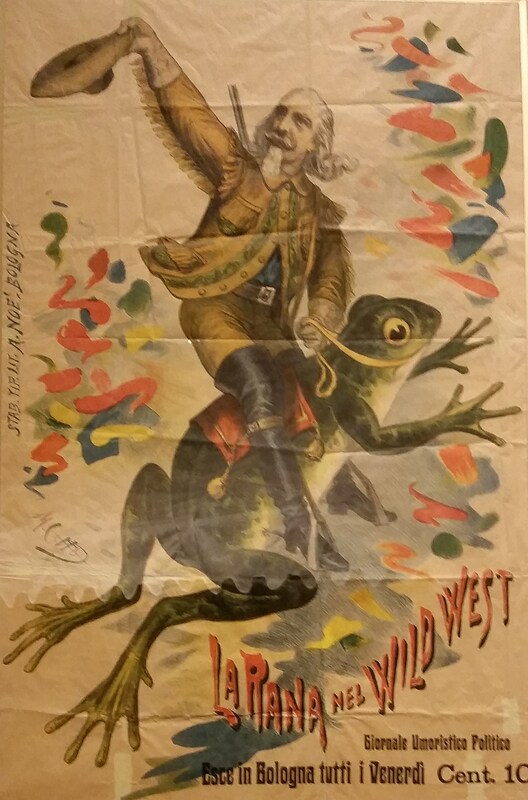 One blog post can not begin to scratch the surface of all that is the Buffalo Bill Center of the West. 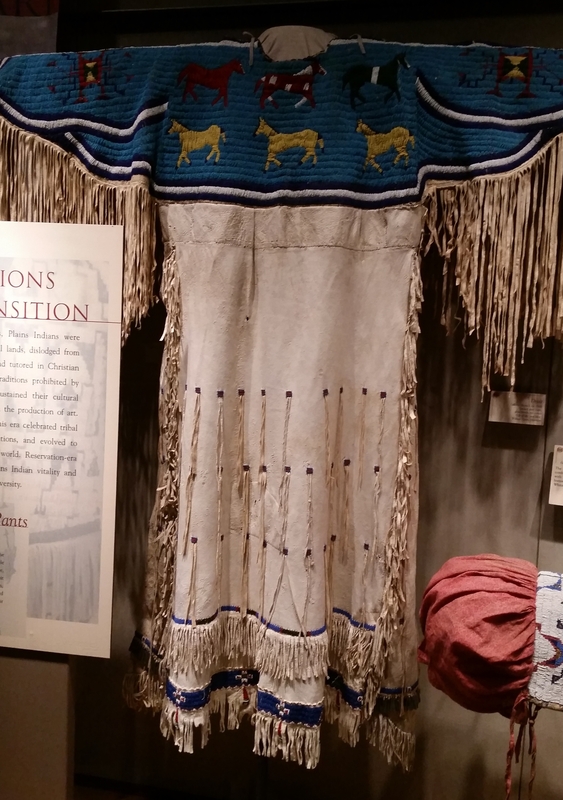 If you are visiting Yellowstone don’t miss this amazing museum. 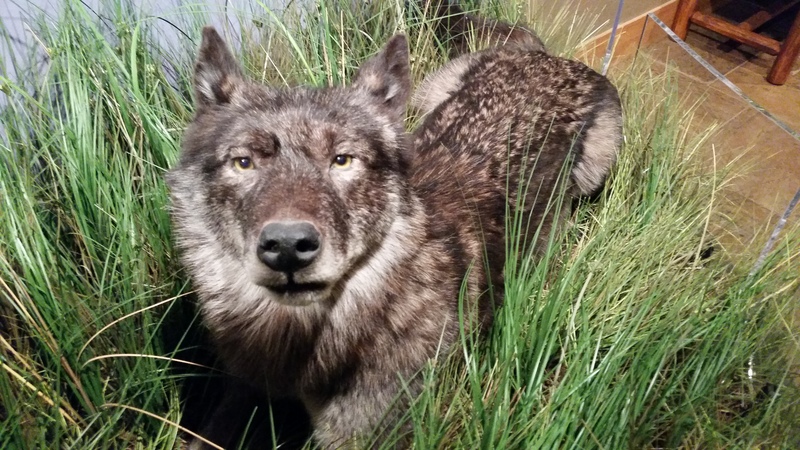 This entry was posted in Uncategorized, Where we are and tagged Buffalo Bill Center of the West, Indian, Native American, Sitting Bull, wolves, Yellowstone by M.A. Foxworthy. Bookmark the permalink.